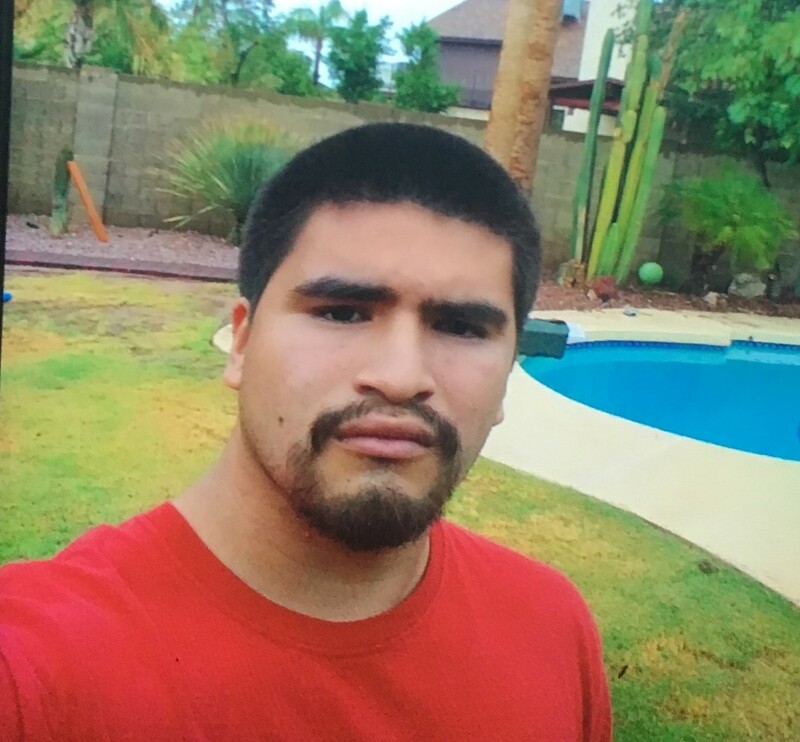 Marlin Grijalva was last seen around 7:10pm on 09/20/18 when he left his home on foot in the area of Baseline and Alma School Roads in Mesa. Marlin has limited communication skills and may slur his words and may appear intoxicated, but is not. Marlin has not taken off before and his family is very concerned for his welfare. Marlin functions at a 3rd grade level and cannot read. Has impaired communication skills and can be hard to understand. Marlin was last seen wearing black or navy blue shorts, unknown color of shirt and carrying a black back pack and skateboard. Marlin has a goatee with mustache.